Do you have 90 seconds for some soothing timelapse beauty? If so, hit play. 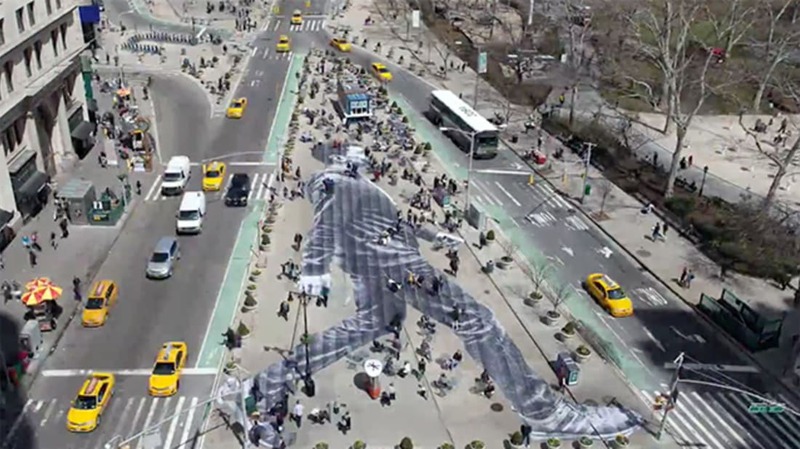 What you just saw is French artist JR pasting a giant photographic cut-out below the Flatiron Building, commissioned by The New York Times for their "Walking New York" issue. At 7:45pm on the day it was installed, it was power-washed off the street. Ephemeral art indeed. For more, check out the Times's writeup of the process.